EMsculpt has been FDA approved as a totally safe and effective treatment to both burn fat and build and tone muscle. The release of this innovative technology was held until they were totally confident that it would work for every type of patient and give them noticable results. In fact, the average client sees a 4 cm waistline measurement reduction. That’s 1.5 inches which is almost a full dress size! EMsculpt treatment will simultaneously melt excess fat away while improving and building your muscle tone and composition. This means a more lifted, shapely bum, more pronounced, lean abs and all without having to break a sweat in the gym! 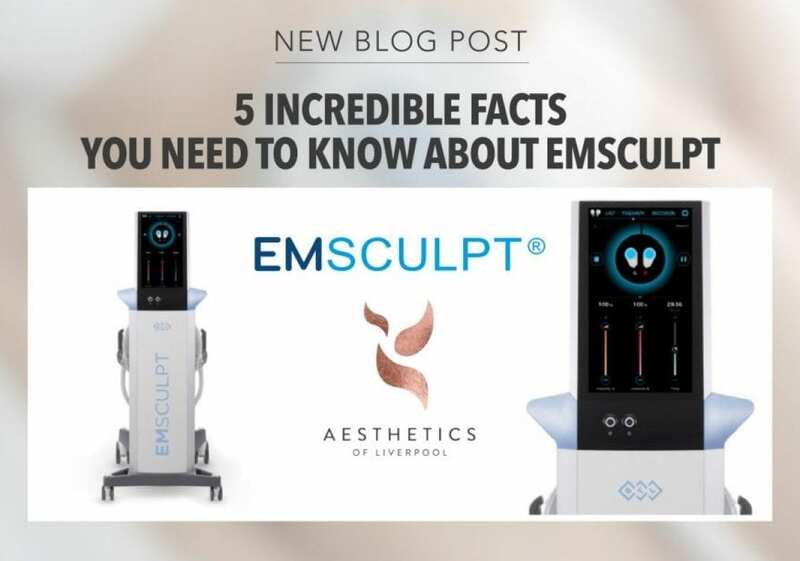 EMsculpt treatment is the perfect lunchtime treatment as the whole procedure only takes 30 minutes making it the quickest treatment in body sculpting. As you won’t break a sweat or experience any discomfort, it means you can get straight back on with your day afterwards. The average increase of muscle mass for clients is 16% and the average fat reduction is 19%! It’s probably no surprise then that the average patient satisfaction rate was 96%. Most clients start to see noticeable results in 2 weeks after having around 2-3 sessions each week. These results will continue to improve alongside healthy eating and exercise too! You know the feeling when you’re muscles are getting a good workout in a gym session? Well, EMsculpt mimics this feeling. Your muscles are getting a really intense workout without you having to break a sweat! Some say it is like the most intense workout they’ve done but without the discomfort of lactic acid build up and soreness. Emsculpt works by directing highly-focused electromagnetic energy to the targeted area of your body. At the moment, approved areas are the buttocks, thighs and abdomen. You will lay down with the machine placed on your target area. During the 30 minute procedure, tens of thousands of contractions are sent through your muscle causing supramaximal contractions which will build and define your targeted muscle area. Just one EmSculpt treatment is the equivalent of doing 20,000 squats or sit ups which is why it works so quickly. This kind of workout is unachievable in a gym workout alone which is why patients are seeing such great results. EMsculpt is a pain free procedure. Patients can relax during treatment and then get straight back on with their day with zero downtime. This is an FDA approved procedure and there’s no chance of having any negative reactions to the treatment but every chance of walking away with a sculpted, toned set of abs and a firm bum to be proud of! It’s exclusive to Aesthetics of Liverpool and will help you achieve toned abs and a lifted bum.